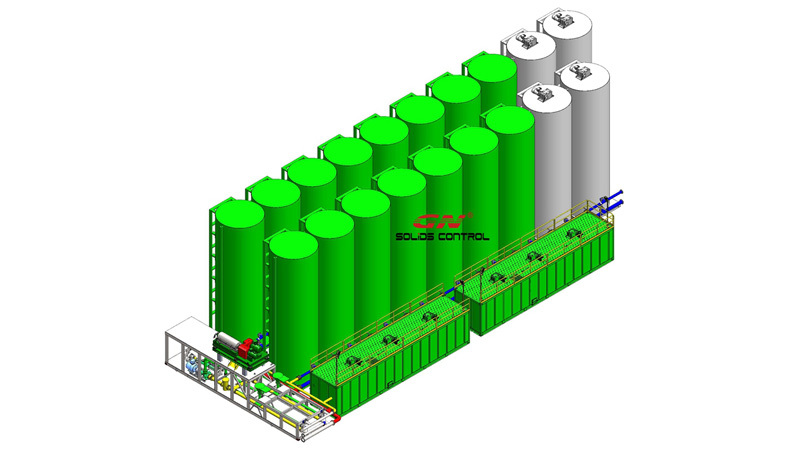 As discussed before, GN Solids Control is very professional to provide customized solutions for various mud plants. Depend on the stock volume of various mud, such as water base mud, oil base mud, synthetic base mud or completion drilling fluids, GN mud plants are divided into different stocking area, each area will be separated by wall. So continue our last time conversation, 12 – 1000 BBL storage Tanks. All tank interiors and manifold lines must be coated to handle Calcium Chloride, Calcium Bromide and Zinc Bromide completion fluids. 1. What’s the maximum dimension for the single tank? This depends on a vertical (base of tank could be as much as 20 feet or more) or horizontal tank (approximately 10 foot by 40 foot). Vertical tanks preferred unless otherwise advised. 3. 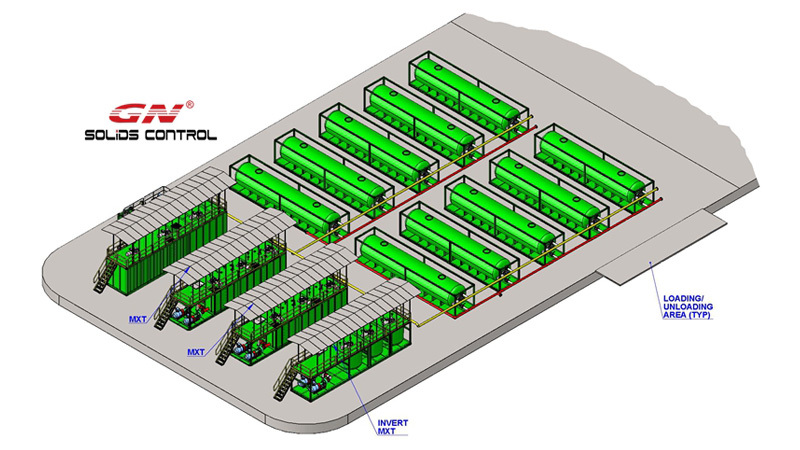 What’s the solids control equipment you need on the MP? For example, shale shaker and high speed centrifuge to recycle and reclaim the used mud that is sent in for storage/resale……shale shaker dressed with 200 mesh screen (74 micron cut) / 4-inch cone desilter for micron cut 15 -20 / Centrifuge to remove particles down to 3 microns ( all three mounted in series}….MUD FROM SHAKER PIT FEEDS THE DESILTER, MUD FROM THE DESILTER PIT FEEDS THE CENTRIFUGE….to progressively remove smaller particles. 4. What type of the drilling mud & completion fluids will we be handling? Clear Brine Fluids, Diesel Oil Base Mud, Synthetic Oil Base Mud or Water Base Mud? Clear Brine Fluids (two cartridge filtration unit helpful…initial filtration), Water Base Mud, Diesel Oil Base Mud & Synthetic Oil Base Mud (prepared with Total Energy edc-99dw base oil).